Bu çalışmanın amacı, literatürdeki sosyobilimsel konu (SBK) senaryolarının nasıl yazıldığının incelenmesidir. SBK senaryolarını içeren çalışmaların tespit edilmesi amacıyla yapılan literatür taramasında üç temel kriter belirlenmiştir: (a) Çalışmaların son beş yılda yayınlanmış olması, (b) hakemli dergilerde yayınlanan çalışmalar olması, (c) SBK içeriklerinin çalışmalarda senaryo olarak tanımlanması. İlgili veri tabanları “sosyobilimsel konular”, “sosyobilimsel konu senaryoları” ve “sosyobilimsel argümantasyon” anahtar kelimelerinin hem Türkçe hem de İngilizce versiyonları kullanılarak taranmıştır. Literatür taraması sonucunda kura yöntemi ile seçilen yedi makale içerisinde yer alan on beş SBK senaryosu içerik analizine tabi tutulmuştur. Analizler, SBK senaryoları yazılırken, sosyobilimsel konu ile ilgili tarafsız, olumlu ya da olumsuz bilgilere ne derece ve hangi sırayla yer verilmesi gerektiği noktasında bir fikir birliği olmadığını göstermiştir. Ancak gerçek yaşamla ilişkili olan, insanlık için önem arz eden, tartışma fırsatı sunan ve hedef öğretim programı ile ilişkili konuların seçilmesi noktalarında bir uyum olduğu tespit edilmiştir. Mevcut çalışmanın SBK senaryolarının yazılması ve SBK temelli öğretimlerde bu senaryoların kullanılması açısından literatüre katkı sağlayacağı düşünülmektedir. The purpose of this study is to examine how socioscientific issues (SSI) scenarios have been written in the literature. Three criteria were defined to identify socioscientific issue scenarios: Studies which have been published in the last 5 years and in pre-reviewed journals and identified the issue as socioscientific issue scenario. Relevant databases were reviewed using both Turkish and English versions of "socioscientific issues", "socioscientific issue scenarios" and "socioscientific argumentation" keywords. After the literature review fifteen scenarios included in the seven articles selected with lottery were analyzed with content analysis. Analyzes showed that there is no consensus on how much and in which order the objective, positive, or negative information should be included in socioscientific issue scenarios. However, it was found that there is consensus on selecting the issues which are relevance to real life, related to target curriculum, and which offer opportunities for debate. It is believed that the present study will contribute to the writing of socioscientific issue scenarios. Atabey, N., ve Topçu, M. S. (2017). The development of a socioscientific issues-based curriculum unit for middle school students: Global warming issue. International Journal of Education in Mathematics, Science and Technology, 5(3), 153-170. Bosser, U., ve Lindahl, M. (2017). Students’ positioning in the classroom: A study of teacher-student interactions in a socioscientific issue context. Research in Science Education. https://doi.org/10.1007-/s11165-017-9627-1. Carson, K., ve Dawson, V. (2016). A teacher professional development model for teaching socioscientific issues. Teaching science, 62(1), 28-35. Dawson, V. (2015). Western Australian high school students’ understandings about the socioscientific issue of climate change. International Journal of Science Education, 37(7), 1024-1043. Dawson, V., ve Carson, K. (2017). Using climate change scenarios to assess high school students’ argumentation skills. Research in Science ve Technological Education, 35(1), 1-16. Dolan, T. J., Nichols, B. H., ve Zeidler, D. L. (2009). Using socioscientifıc issues in primary classes. Journal of Elementary Science Education, 21, 1-12. Eastwood, J. L., Sadler, T. D., Zeidler, D. L., Lewis, A., Amiri, L., ve Applebaum, S. (2012). Contextualizing nature of science instruction in socioscientific issues. International Journal of Science Education, 34(15), 2289-2315. Emery, K., Harlow, D., Whitmer, A., ve Gaines, S. (2017). Compelling evidence: An influence on middle school students’ accounts that may impact decision-making about socioscientific issues. Environmental Education Research, 23(8), 1115-1129. Evren Yapıcıoğlu, A., ve Kaptan, F. (2018). Sosyobilimsel durum temelli öğretim yaklaşımının argümantasyon becerilerinin gelişimine katkısı: Bir karma yöntem araştırması. Ondokuz Mayıs Üniversitesi Eğitim Fakültesi Dergisi,37(1),1-19. Fleiss, . L. (1971). Measuring nominal scale agreement among many raters. Psychological Bulletin, 7, 378-382. Genel, A., ve Topçu, M. S. (2016) Turkish preservice science teachers’ socioscientific issues-based teaching practices in middle school science classrooms. Research in Science ve Technological Education, 34(1), 105-123. Gustafsson, B., ve Öhman, J. (2013).DEQUAL: A tool for investigating deliberative qualities in students’ socioscientific conversations. International Journal of Environmental ve Science Education, 8(2), 319-338. Halim, M., ve Saat, R. M. (2017). Exploring students’ understanding in making a decision on a socioscientific issue using a persuasive graphic organiser. Journal of Baltic Science Education, 16(5), 813-824. Kalypso, I., ve Constantinou, P. C. (2014). Developing preservice teachers’ evidence based argumentation skills on socioscientific issues. Learning and Instruction, 34, 42-57. Karataş, Z. (2015). Sosyal bilimlerde nitel araştırma yöntemleri. Manevi Temelli Sosyal Hizmet Araştırmaları Dergisi, 1(1), 62-80. Keskin-Samanci, N., Özer-Keskin, M., ve Arslan, O. (2014). “Development of ‘bioethical values inventory’ for pupils in secondary education within the scope of bioethical education. Eurasia Journal of Mathematics, Science ve Technology Education, 10(2), 69-76. Khishfe, R. (2014). Explicit nature of science and argumentation instruction in the context of socioscientific issues: An effect on student learning and transfer. International Journal of Science Education,36(6), 974-1016. Klosterman, M. L., ve Sadler, T. D. (2010). Multilevel assessment of scientific content knowledge gains associated with socioscientific issues based instruction. International Journal of Science Education, 32(8), 1017-1043. Krippendorff, K. (1980). Content analysis: An introduction to its methodology. Newbury Park: Sage Publications. Knight , A. M., ve McNeill, K. L. (2015). Comparing students’ individual written and collaborative oral socioscientific arguments. International Journal of Environmental ve Science Education, 10(5), 623-647. Kolstø, S. D. (2001). Scientific literacy for citizenship: Tools for dealing with the science dimension of controversial socioscientifıc ıssues. Science Education, 85(3), 291-310. Kotkas, T., Holbrook, J., ve Rannıkmäe, M. (2016). Identifying characteristics of science teaching/learning materials promoting students’ intrinsic relevance.Science Education International, 27(2), 194-216. Lenz, L., ve Wicox, M. K. (2012). Issue-oriented science: Using socioscientific ıssues to engage biology students. The American Biology Teacher, 74(8), 551–556. Lin, T. C., Lin, T. J., ve Tsai C. C. (2014). Research trends in science education from 2008 to 2012: A systematic content analysis of publications in selected journals. International Journal of Science Education, 36(8), 1346-1372. Lin, Y. R., ve Hung, J. F. (2016). The analysis and reconciliation of students’ rebuttals in argumentation activities. International Journal of Science Education, 38(1), 130-155. Marks, R.,ve Eilks, I. (2009). Promoting scientific literacy using a sociocritical and problem-oriented approach to chemistry teaching: concept, examples, experiences. International Journal of Science and Environmental Education, 4, 231-245. Milli Eğitim Bakanlığı (2005). İlköğretim Fen ve Teknoloji Programı (6-8. sınıf).Ankara: Milli Eğitim Bakanlığı Yayınları. Nielsen, J. A. (2012). Co-opting science: a preliminary study of how students invoke science in value-laden discussions. International Journal of Science Education, 34(2), 275–299. Presley, M. L., Sickel, A. J., Muslu, N., Merle-Johnson, D. B. Witzig, S. B., İzci, K., ve Sadler, T. D. (2013). A framework for socio-scientifıc issues based education. Science Educator, 22(1), 26-32. Ratcliffe, M., ve Grace, M. (2003). 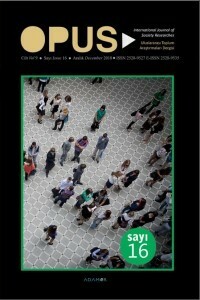 Science education for citizenship: Teaching socioscientifıc issue. Maidenliead: Open University Press. Ritchie, S. M., Tomas, L., ve Tones, M. (2011).Writing stories to enhance scientific literacy. International Journal of Science Education, 33(5),685-707. Romine, W. L., Sadler, T. D., ve Kinslow, A. T. (2017). Assessment of scientific literacy: Development and validation of the quantitative assessment of socio-scientific reasoning (QuASSR). Journal of Research in Science Teaching, 54(2), 274-295. Saad, M. I. M., Baharom, S., ve Mokhsein, S. E. (2017). Scientific reasoning skills based on socioscientific issues in the biology subject. International Journal of Advanced and Applied Sciences, 4(3), 13-18. Sadler, T. D. (2004). Informal reasoning regarding socioscientific issues. A critical review of research. Journal of Research in Science Teaching, 41(5), 513-5362. Sadler, T. D., Chambers, F. W.,ve Zeidler, D. L. (2004). Student conceptualizations of the nature of science in response to a socioscientific issue. International Journal of Science Education, 26(4), 387-409. Sadler, T. D.,ve Zeidler, D. L. (2009). Scientific Literacy, PISA, and socioscientific discourse assessment for progressive aims of science education. Journal of Research in Science Teaching, 46(8), 909-921. Sadler, T. D. (2011). Socioscientific issues in the classroom: Teaching, learning, and research. New York: Springer. Sadler, T. D., Friedrichsen, P., Graham, K., Foulk, J., Tang, N., ve Menon, D. (2015). Socioscientifıc issue based education for three-dimensional science learning: derivation of an ınstructional model. Paper presented at the annual meeting of the National Association for Research in Science Teaching, Chicago, Amerika. Salvato, E., ve Testa, I. (2012). Improving students’ use of content knowledge when dealing with Socio-Scientific Issues: the case of a physics-based inter-vention.“Quaderni di Ricerca in Didattica (Science)”,3,15-36. Shea, N. A., Duncan, R. G., ve Stephenson, C. (2015). A tri-part model for genetics literacy: Exploring undergraduate student reasoning about authentic genetics dilemmas. Research in Science Education, 45, 485-507. Tal, T., ve Kedmi, Y. (2006). Teaching socioscientifıc issues: classroom culture and students’ performances. Cultural Studies of Science Education, 1, 615-644. Tsai, C. Y. (2018). The effect of online argumentation of socio-scientific issues on students' scientific competencies and sustainability attitudes. Computers ve Education, 116, 14-27. Tekin, N., Aslan, O. ve Yılmaz, S. (2016). Representation of socioscientific issues in the most popular Turkish daily newspapers. Journal of Human sciences, 13(2), 2860-2869. Tomas, L. (2012). Writing narratives about a socioscientific issue: Engaging students and learning science. Teaching Science, 58(4), 24-28. Tomas, L., ve Ritchie, S. M. (2014). The challenge of evaluating students' scientific literacy in a writing-to-learn context. Research in Science Education, 44, 1-18. Topçu, M. (2015). Sosyobilimsel konular ve öğretimi. Ankara: Pegem Akademi. Topçu, M. S., ve Atabey, N. (2014). Sosyobilimsel konu içerikli alan gezilerinin ortaokul öğrencilerinin argümantasyon nieliğine etkisi. Paper presented at the annual meeting of the 11. National Science and Mathematics Education Congress, Adana, Turkey. Van Eemeren, F. H., ve Grootendorst, R. (1996). A systematic theory of argumentation: A systematic theory of argumentation. Cambridge:Cambridge University Press. Yahaya, J. M., Ahmad Nurulazam, A., ve Mageswary Karpudewan, M. (2016). College students’ attitudes towards sexually themed science content: a socioscientific issues approach to resolution. International Journal of Science Education, 38(7), 1174-1196. Yıldırım, A. ve Şimşek, H. (2008). Sosyal Bilimlerde nitel araştırma yöntemleri. Ankara: Seçkin Yayıncılık.